Companies everywhere are relying on agile software development—and with good reason. 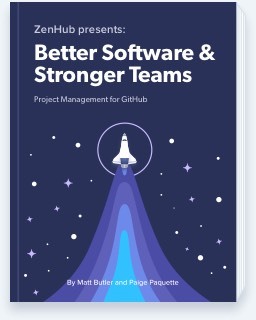 By dividing projects into sprints and holding teams accountable for individual components every couple of weeks, agile makes projects simpler, less risky, more transparent, and more accessible. And if you’re doing development projects for clients, agile makes things even easier—for everyone involved. In this post, we’ll unpack why. It’s flexible. Although the system of sprints and tasks is rigid, it serves its purpose to make sure the developers do what they need to do. The nice part is that the system also lets teams change and reprioritize the backlog at will—whether that’s because the client wants something different, a task needs to be broken up, or user feedback suggested a change. And agile’s flexibility has the added benefit of making it possible to incorporate new features or iterations in just a few weeks. It’s user-focused and incorporates feedback. Tasks in agile software development are rooted in “stories,” which explain how an end user might use a given feature. That means that every single task in the backlog contributes value—and the developers are keeping users top of mind. What’s more, by releasing software frequently and testing often, developers can incorporate user feedback into the next iteration, allowing them to be in constant conversation with those who rely on the software most, thus keeping both users and clients happy. It improves the quality of the software. The software development teams are focused on one small unit at a time. As a result, they can laser in on quality and testing to ensure that each feature works properly. Agile also calls for frequent reviews, so bugs and other problems get caught early and fixed appropriately. It’s transparent. With agile, a project gets broken down into small pieces, which are worked on individually. Because of the nature of agile, each sprint lasts about two weeks, and a sprint retrospective at the end evaluates what went well and what still needs work on the task. The client participates in these meetings, too, and gets to keep tabs on how the project’s going, see demos as soon as components are ready, and keep track of all the moving parts. They’ll also know exactly when to expect delivery and what the schedule looks like. Clients get to be involved. Because the client is plugged in to the process, the client gets to be more involved and collaborate with the development team. The client sees working software often, can make comments and give feedback, and ensures that the project lives up to the client’s vision. That’s why the collaborative nature of agile is a major benefit to the client—nobody wants to be left in the dark. Clients know how much it will cost them. Another benefit of agile software development is that the costs to the client are much more predictable. Each sprint is planned for a designated amount of time, so the client has a clear understanding of how much time it might take a team to develop a new feature or make requested changes. This helps clients plan for the future—and they’re grateful for it. Overall, agile software development breaks tasks down into manageable units, letting developers focus their efforts one piece at a time. This structure provides major benefits to both developers and clients, by improving transparency, quality, and collaboration. Considering bringing agile software development to your teams or clients? Learn how ZenHub can turn your GitHub Issues into an agile task management Boards.